Dr Humeira Iqtidar joined King's College London in 2011. She has studied at the University of Cambridge (UK), McGill University (Canada) and Quaid-e-Azam University (Pakistan). Before joining King's, Humeira was based at the University of Cambridge as a fellow of King’s College and the Centre of South Asian Studies. Humeira is a Lecturer in Politics of South Asia. She is also the Principal Investigator on the Tolerance in Contemporary Muslim Politics: Political Theory beyond the West project and Co-Convenor for the London Comparative Political Theory Workshop. Humeira’s research is concerned with exploring the contours of social and political theory particularly in the South Asian context. She is interested in the shifting demarcations of state and market, society and economy, secularism and secularization. She has carried out ethnographic research with two Islamist parties in Pakistan, Jamaat-e-Islami and Jamaat-ud-Dawa for her previous research project. Currently her research has two key strands. One explores ideas and practices related to tolerance within the Pakistani context. The other engages with the relationship between liberalization and piety in both UK and Pakistan. 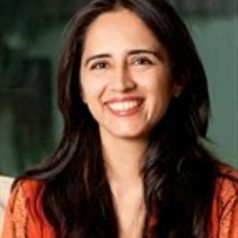 Humeira's research has featured in interviews and articles in The Guardian, BBC World Service, Voice of America, Der Spiegel, Social Science Research Council Online, The Dawn, Express Tribune and Open Democracy.